This season we introduced themed dinner at our buffet evenings throughout the summer every Wednesday will enjoy a dinner with flavors of Ibiza. Our island has a rich and varied cuisine. We have the best Mediterranean fish, vegetables and fruits of an intense flavor, quality oil ... And all this with native recipes that bring out the best of each product. 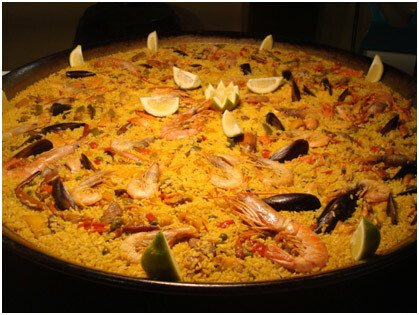 In our buffet you can find seafood Paella, very typical “pizza” with peppers and olives, homemade desserts like “Flaó”, among others. Do not forget to stop by the table "flavors and scents" where you can find oils and the famous "Sal de Ibiza" which has worldwide recognition. 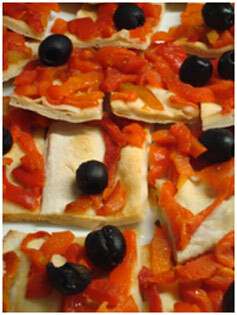 In the show-cooking you can choose between meat, fish and vegetables cooked at the moment. Do not leave without tasting the flavor Ibiza for € 13 including one drink.